How do you make a fresh, crusty loaf of bread even better? Stuff it full of meat! I present, MEATBREAD! Like the name suggests, it's bread, with meat! 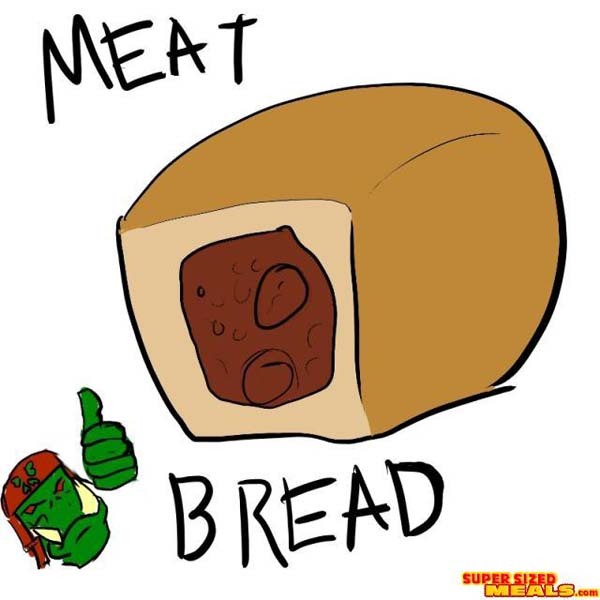 Alright, fa/tg/uys, tonight I make MEATBREAD! I don't remember the recipe besides, sausage, hot sausage, and ground meat so I'm going to shove whatever cheese and stuff I feel like in there! Heaven or Hell! LET'S ROCK!!! Just one bite, it's delicious. I would think that a heartier loaf of crusty French bread would work better. Layer the inside with meat, cheese of choice, some marinara, and maybe a tidbit of olive tapenade. 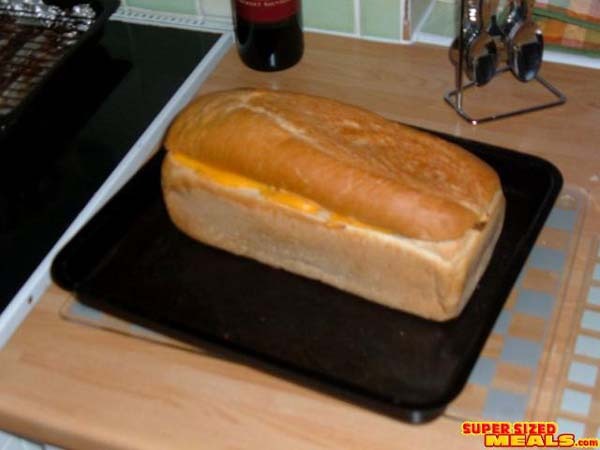 Just think, you could make a sandwich using the meadbread like normal bread, putting even more protien between the pieces. This would be much better baked into the bread. it looks like they baked the bread and put the heart attack filler in after. 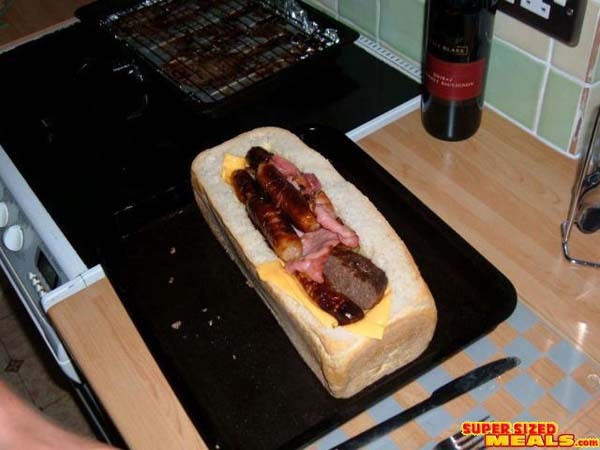 Great idea, poor culinary skills. 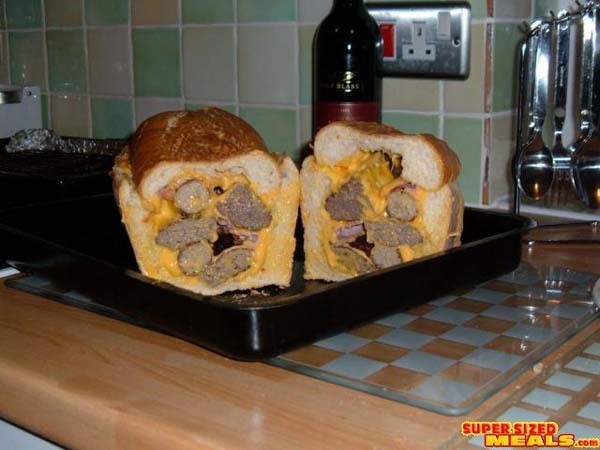 Check out this Meatbread post, meat baked into the bread.... real meatbread!